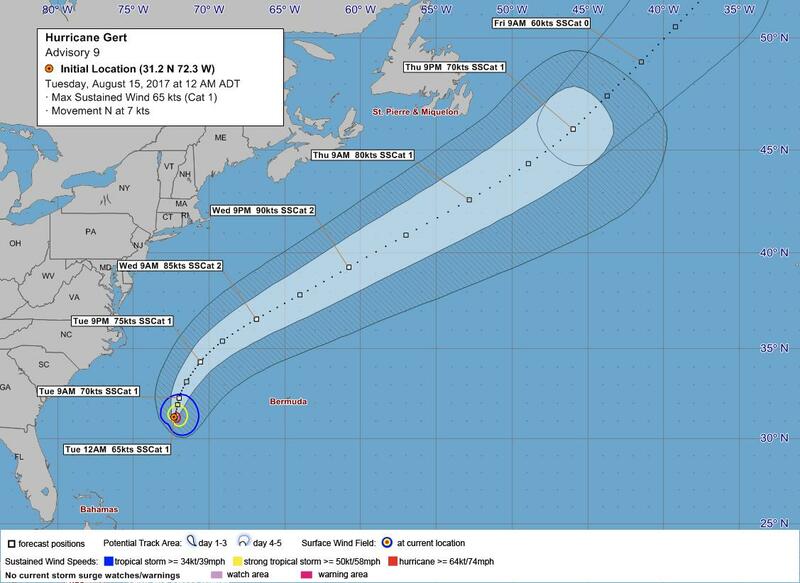 Gert — which has now been upgraded to a hurricane, marking the second hurricane of the 2017 Atlantic season – remains a “potential threat” to Bermuda, the Bermuda Weather Service said. 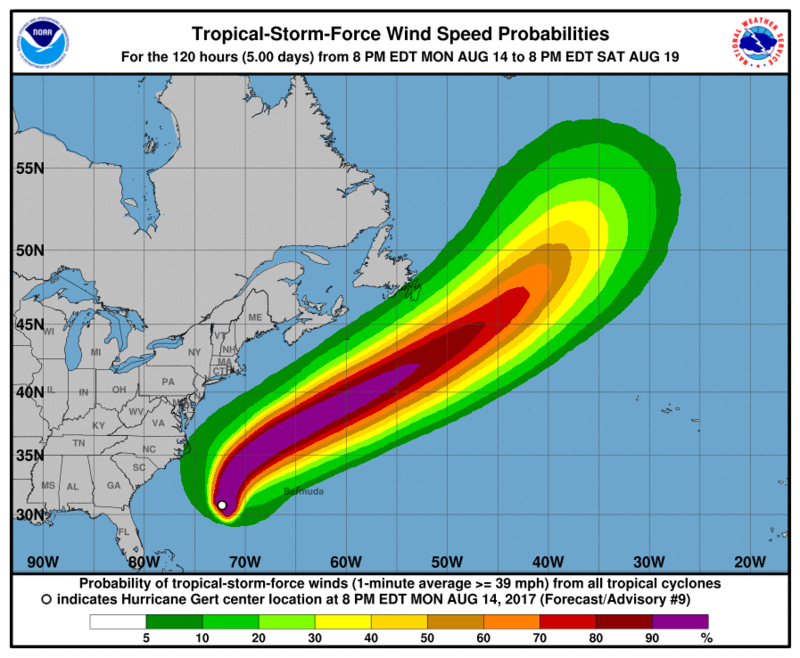 “Gert is still far enough away to not affect our local conditions in the near term, however remains a potential threat as it passes at a wide berth within 400nm of Bermuda, trekking between us and the US East Coast,” the BWS said. The U.S. based National Hurricane Center said, “Maximum sustained winds have increased to near 75 mph [120 km/h] with higher gusts. Some strengthening is forecast during the next 48 hours. “Hurricane-force winds extend outward up to 25 miles [35 km] from the center and tropical-storm-force winds extend outward up to 105 miles [165 km]. What is this new “may move closer” nonsense? Its highly unlikely and rather rare that these storms double back south making it nearly impossible for a “closer” pass once it’s gone north of the island. Its very specific conditions that would steer a storm back south off its generally northerly track. While I agree that it’s unlikely in Gert’s case , still , do a google on past Atlantic hurricane tracks are there are many examples of storms that left pretzel shaped tracks and even struck the same area more than once. As nice as it is to put faith in the forecasters when they say ‘no threat’ one must remember that these storms don’t watch weather predictions as they go about their thing .